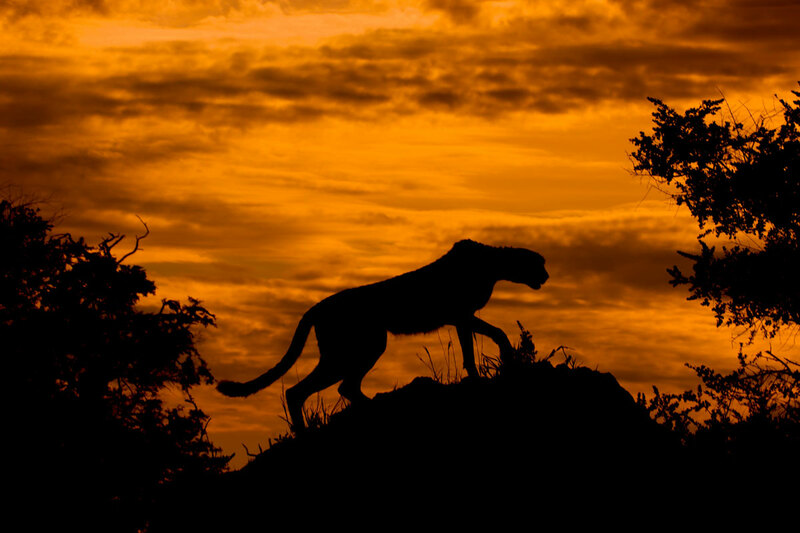 In this beautiful photo by Arturo de Frias Marques, we see a Cheetah (Acinonyx juvatus) silhouetted against a fiery sunset in the Oakavango Delta, in Botswana. The Okavango Delta (or Okavango Grassland) in Botswana is a large inland delta formed where the Okavango River reaches a tectonic trough in the central part of the endorheic basin of the Kalahari. The Moremi Game Reserve, a National Park, is on the eastern side of the Delta. In 2013 the Okavango Delta was named one of the Seven Natural Wonders of Africa and was also recognized as an UNESCO World Heritage Site in 2014. The photograph was a finalist in the Wikimedia Commons Picture of the Year 2014.